I have owned this pocket – tactical – penlight – flashlight for several years, and it may the best flashlight (of its type) for under 30 dollars. Here’s what I use it for, and why I believe it’s one of the best for the money. 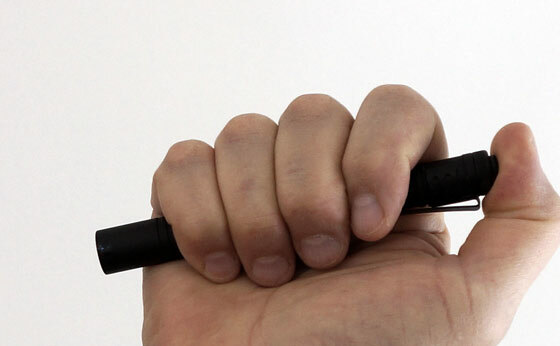 It’s the Streamlight 66118 Stylus Pro Black LED Pen Flashlight. 1. It fits perfectly and comfortably in your pants pocket. The reason it’s particularly suitable is the pocket clip which snaps onto the flashlight near the tail cap, and the overall dimensions of the flashlight. 2. 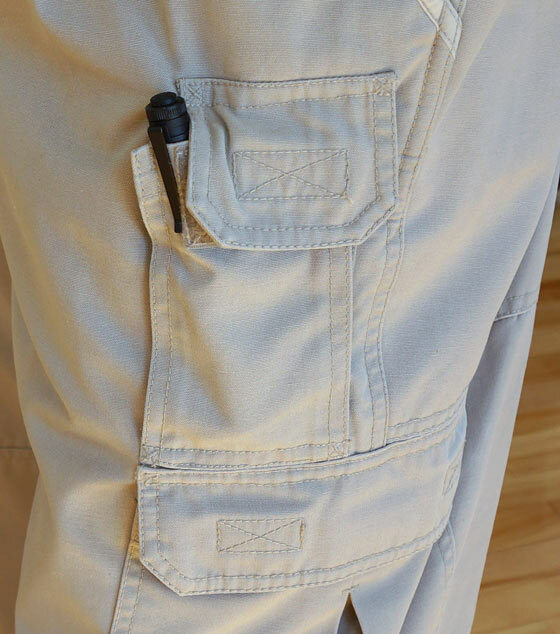 If you wear any sort of cargo pants with multiple pockets (as I do), then the Streamlight Stylus Pro will clip especially conveniently and comfortably to any one of them. The clip is strong enough so not to worry about losing it. 3. If you’re looking to carry a small flashlight as part of your EDC (every day carry), and if the flashlight is not very comfortable or practical to carry, then chances are you won’t carry it. Chances are that you will carry this one (I do). I find that this flashlight is good for general purpose, given its small size for a pocket carry. 1. The LED puts out 65 lumens. While 65 lumens is not exceedingly bright, I have found the level to be bright enough for many normal applications. I have even relied upon this particular flashlight one time for many continuous hours late into the night while unexpectedly tracking a bear on a hunt which began in the early evening while still light. While expecting to find the 400+ pound bear not too far into the forest after the shot, it turned out not to be the case – and fortunately I had my Streamlight Stylus Pro in my pocket! 2. The tactical push button. The tail mounted button will operate momentarily or pressed fully for on/off. The cap is waterproof, as is the entire flashlight (o-rings at all threaded fittings). 3. The flat black anodized paint will prohibit reflections – making for good tactical stealth. 4. The dimensions seem to be perfect. Total length is 5.25 inches. Widest diameter is 5/8″ while most of the body is 1/2″. 5. The body of the flashlight is solid and appears to be aluminum. Corrosion proof. 6. The reflector lens is of a polycarbonate material and apparently is very unlikely to break. Mine has only a few minor scratches with several years use. 7. While I prefer AA batteries for my other flashlights, this pen flashlight takes two AAA batteries (I use eneloop rechargeables) which is necessary given its narrow diameter. My eneloop NiMH AAA batteries provide 750 mAh each of power and the flashlight will light for about 6 hours on a set. Not bad! Good review, only one question, How is the rubber cap (over the switch) holding up? any signs of wear or cracking? Nice review. 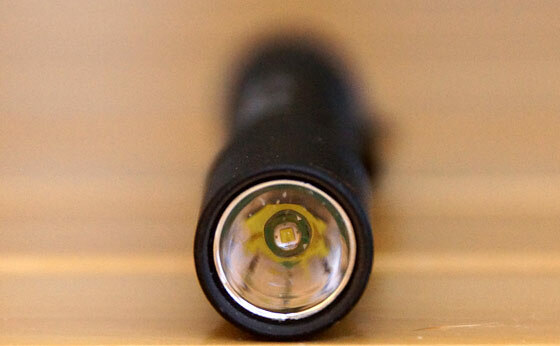 I am a flashlight geek but have not tried this one as of yet. Never heard of the brand, but, for $5? I noticed that it’s apparently 1″ in diameter – a bit too fat for my likings for a pocket flashlight – but that’s just me. The Streamlight brand is well known as one of the best brands, however I’m sure some of what you’re paying for is just that – the brand name. I would like to believe that it’s constructed to back up their reputable name. Nice find though for a very cheap flashlight brand (‘Bright Medic’) given its apparent attributes. I love these Streamlights and have 3 of them. The one that’s most used is kept next to the computer. It sure comes in handy when I need a spot of light under the computer table, or when I need to retrieve boxed paperwork in the closet of our computer room. Interesting topic?? What do you carry with you at all times? ?